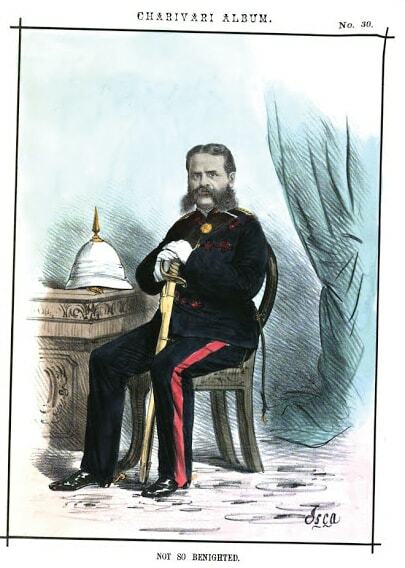 Coleman was born in the Nilgiris in 1826 and his antecedents were humble. Sent off while still young to join the navy as an apprentice, he soon rose to First Officer and then Captain. In 1850, he resigned and took to business, becoming a partner in McDowell & Co., Madras, a company that was trading in wines and spirits. Founded in 1825 by Angus McDowell, a Scot, the company was greatly successful and when the senior partner decided to retire, Coleman became the sole proprietor. Under him the company got into cigar manufacturing, all done in the premises in George Town. Coleman did not neglect the liquor side of the business either, making several visits to Europe to familiarise himself with various vineyards and distillers there. In Madras he took a keen interest in city matters, becoming President of the Municipality (see MM, June 16, 2017 for a story on a tree-plantation drive taken up during his time). He involved himself in the Volunteer Guards, becoming in time a Colonel. He was a member of the Madras Legislative Council from 1879 to 1883. He passed away on December 14, 1883. Coleman was a long-time resident of Royapuram, where he lived in a palatial house abutting the sea, said to have been in the same line as the “Railway Terminus and the Biden’s Seaman Home.” Described as a bungalow of fine proportions, it appears to have been swallowed up later by the expansion works to the Madras Harbour. One son of Coleman was M. McDowell, probably taking his name from the company that his father owed his wealth to. But when in 1898 the firm was restructured as a private limited company, it had as its principal shareholders A.M. Hooper, G.D. Coleman and G.N. Ruppell. Presumably, M. McDowell was dead by then. The company had by then added tea to its portfolio. A decade later came insurance, where it was a Managing Agent for Oriental Insurance. In 1951, McDowell’s became a part of Vittal Mallya’s liquor empire. It was his second major acquisition after United Breweries. The rest of the history is known. Sadly missing today is the massive headquarters that McDowell & Co. built for itself on Moore Street, Madras.